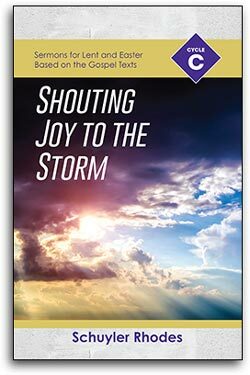 How are we to respond when the violent storm of change rolls into our lives? Should we hide from the storm? Hide in the status quo? As this volume of sermons reminds us, that is not the way of the Christ. Followers of Jesus are called to believe that our greatest treasure ought not be found in the comfort of worldly life as we make it. The Lord calls us instead to step outside and face the coming storm, as he did. When we do, we face all manner of fears in a world that does not like its order challenged. Mockery when we follow God; poverty when we stop worshipping money; grief when we are vulnerable enough to love the oppressed.